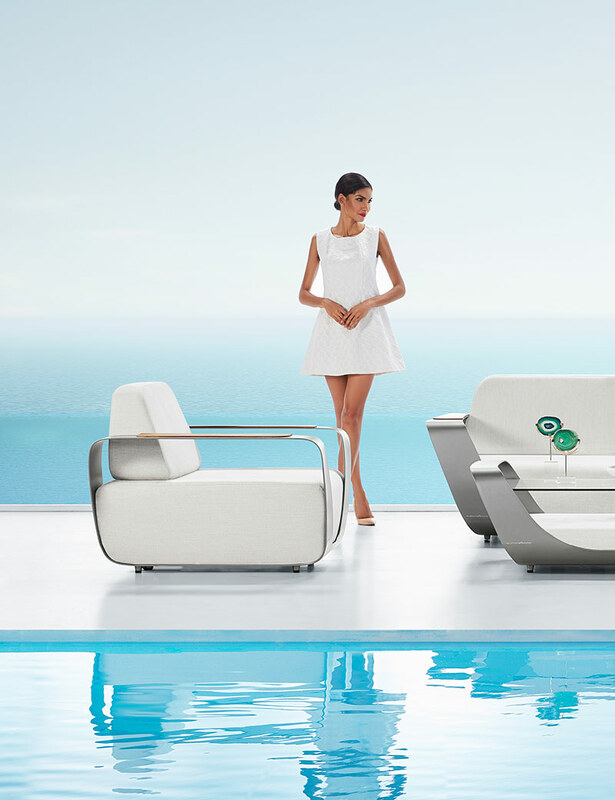 The heart of the Collection is the structure, an alluminum band sustaining the cushions and becoming the iconic element of the whole Collection. 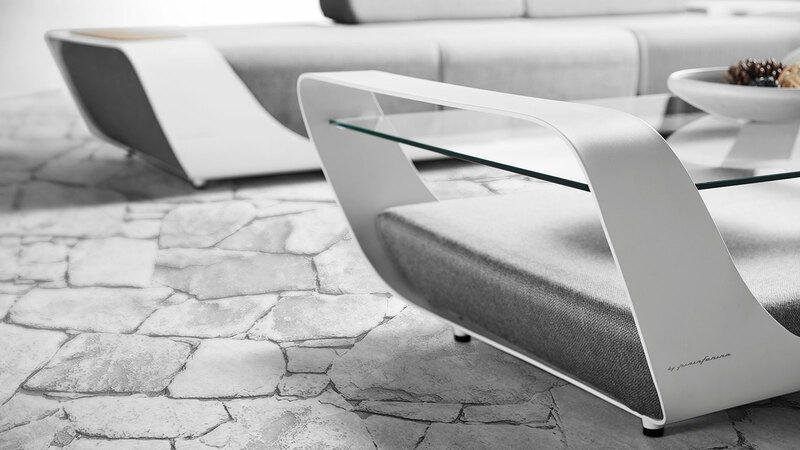 Characterized by fluid lines – as the ones of the wave – the band beyond being an aesthetic element becomes also a functional element, a rigid armrest that can be used to lean objects. 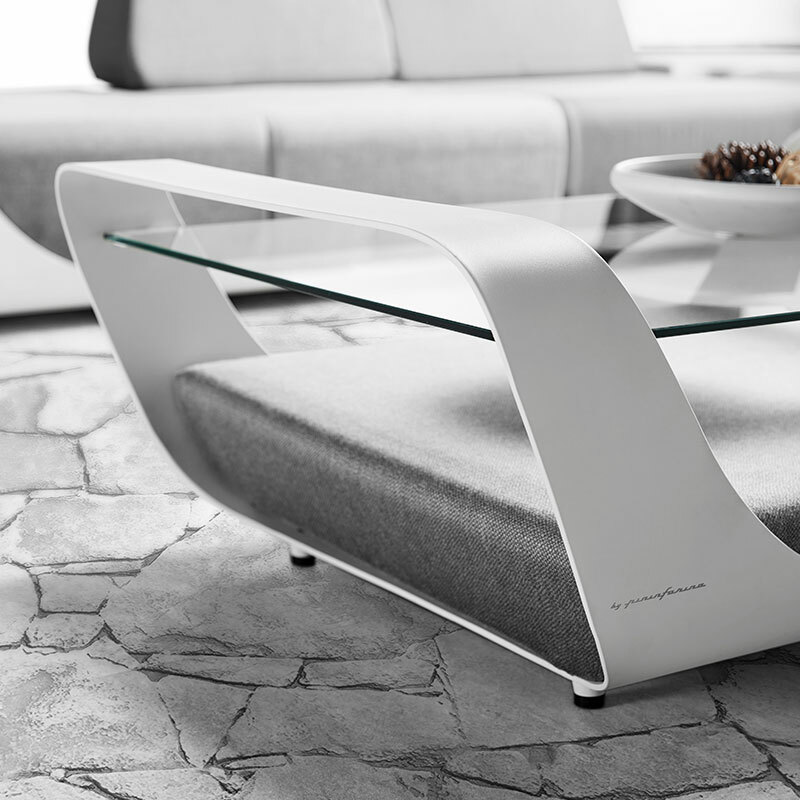 The choice of the materials come from the Pininfarina 360° design experience: the aluminum – coming from the car sector – for the structure , the fabrics – used in the yacths for its resistance – for the cushions. 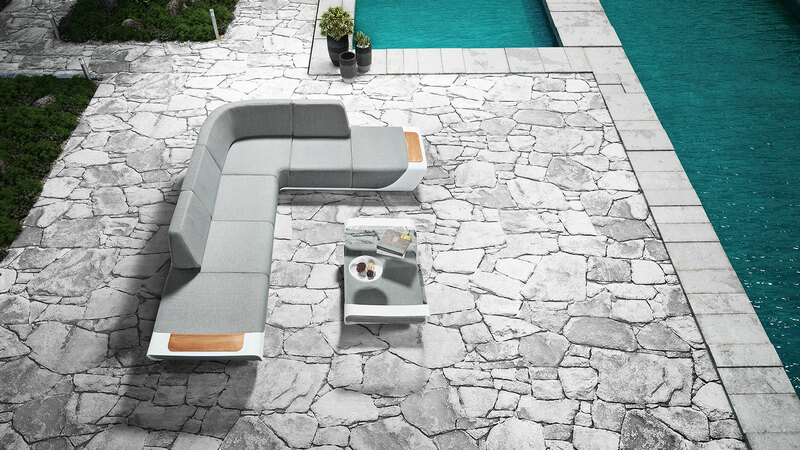 The Collection is composed by a modular sofa, a two seats sofa, a armchair and a coffee table.